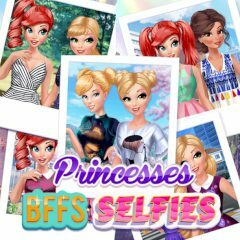 Every princess wants to have a couple of good selfies to increase mood. Get a perfect look for it! Have you ever tried to dress up a couple of girls? there are four of them and they are friends. Make sure they have unique outfits for a party!